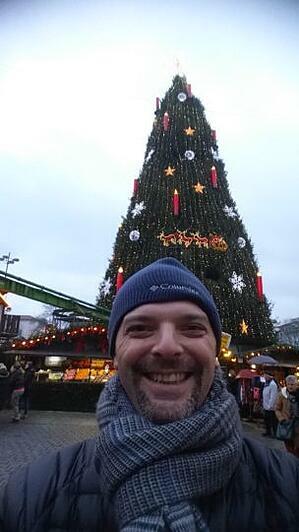 I was on one of my road trips in Germany looking at the biggest Christmas tree in the world, while trying to warm my soul with a good, local Gluh Wein. Then my mobile phone disturbed the tranquility of the moment. One of my IT manager customers was calling. I had to answer. The customer started to describe his day to day challenges and concerns. His enterprise was beginning to migrate from an IPPBX to Skype for Business and Unified communications and his end user satisfaction was poor. His multi-site roll-out plan took him much more time and consumed more effort than expected. And he was yet to go beyond deploying at Headquarters where he couldn’t understand what was causing some of the IP Phones to reboot several times a day. He was unable to control the end users’ IP Phones in an efficient way and solve their issues and concerns. I reminded him about AudioCodes’ IP Phone Manager that he had been considering and I updated him about our free of charge Express Edition. I explained how in our vision, we empower IT with a full life-cycle IP Phone operation management platform and that we view the IP Phone as an IT managed device, essentially turning the IP Phone into an IT Phone. Feeling warmer by the minute (the Gluh Wein was no doubt having its effect...) I pointed out our multi-tenant IP Phone Manager’s day to day management and maintenance capabilities with a monitoring dashboard showing the phone operation status, active registered IP Phones, non-registered IP Phones and the disconnected devices, allowing IT to proactively detect issues before they are noticed by the end user. I also described the smart device and user search. He just needed to search on the user name and the IP Phone provided all the necessary information (IP address, subnet, VLAN, software version and more) with just one click. In that call I convinced my customer to give our IP Phone Manager a try and let the system become the eyes into his network in order to figure out the problems he was facing. And so he did. In just a few hours after he installed the IP Phone manager, he was already able to put his finger on the problem and track the root cause. He immediately saw that when a bulk of users were disconnected it was always in the same network switch and it seemed his POE unit was not functioning well either. He replaced the switch and the issue was resolved. Several months after installing the IP Phone Manger he wanted to migrate additional branches to Skype for Business. I reminded him that his IP Phone Manager has zero touch installation and provisioning and that he can pre-define his configuration for an automatic zero touch rollout. Once the IP phone is plugged in, it gets the proper configuration automatically. Together, we invested a half hour in defining his open space area, lobby area and the different company branches with the proper time offset and IP Phone menu language. A week later he called me and expressed his amazement from the simplicity of the roll out. His ability to proactively detect and solve his end users concerns easily and efficiently was well appreciated in his organization. And it all started with a phone call while sipping some Gluh Wein……..